Randy has nearly 30 years of experience in the insurance industry. For the past 26 years, at Agri-City Insurance, he has given his clients and policyholders the support they need in finding the best insurance coverage at an affordable price. Whether it is home or auto, health or life, long term care, disability, commercial, or business needs, Randy takes care of his clients and builds strong relationships with them. 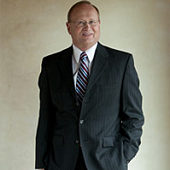 He has been awarded the Columbus Telegram’s “Best of Columbus” Insurance Agent in 2011 and 2012. He takes great pride in the service he provides to his clients and helping find solutions for their risk management issues. Randy is from Red Oak, Iowa, and has lived in Columbus since 1973. He taught mathematics and coached at Columbus Scotus before he entered the insurance field. He and his wife Harriet have three grown children and seven grandchildren. Randy is a member and past president of the Sertoma Club, member and past president of the Platte County Insurance Board, member of the Elks Country Club, Fraternal Order of Eagles, and Columbus Berean Church.